What is Virtual Check authentication? Provided by Equifax, this service collects the customer's Social Security Number, Driver's License Number and State, and Date of Birth. 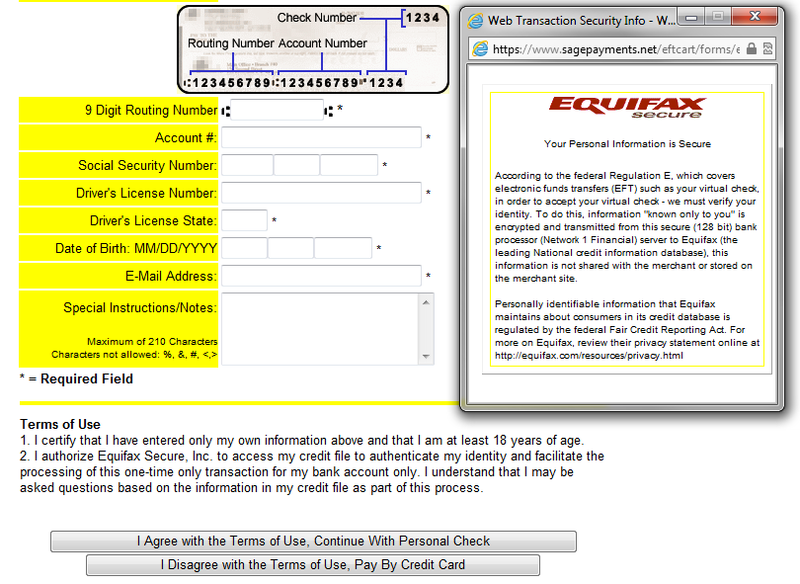 It provides the identity verification that is required for an Electronic Funds Transfer (EFT). These fields cannot be removed from the Shopping Cart. However, if you are utilizing a third-party or custom-built method of integration and are verifying your customers' identity by other means, we can remove the requirement on our end. For further information, please submit a ticket and we will be in touch with you shortly.